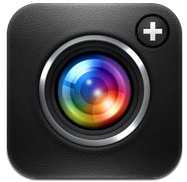 VolumeSnap Returns To Camera+ For iPhone – Take Shots On Your Device Like A Pro! Of all the third party alternatives to the indigenous iOS apps, the camera is probably the most replicated, with dozens of different iterations offering various options unavailable in the stock Camera.app. With the iPhone’s camera competing against the large-lensed Nikons and Canons on Flickr for example, it’s hardly of great surprise that developers are keen to make a quick buck as consumers utilize their smartphone as the AIO portable gadget. With the flagship iPhone 4S now sporting a much-improved 8-megapixel snapper, the trend of using iPhones in place of the bulkier standalone cameras looks set to continue. The popular Camera+ app, which has just been updated, has a whole host of great features and is a worthy alternative to the standard camera application. Re-entering to the fold is its VolumeSnap feature, which gives users the option of selecting the volume button to take photos – utilizing that ergonomically-correct index-finger action. In addition to feeling more like a camera, it enables the device to be held more steadily, preventing blur and paving the way for crisp, sharp photos of those treasured moments. The app, developed by TapTapTap, used to have the VolumeSnap on its feature-list some time ago, but was abruptly removed from the App Store for breaking Apple’s strict developer guidelines. With iOS 5 bringing VolumeSnap to the native app though, it seems as though the Cupertino company has backtracked on its principles, allowing apps to use the volume buttons as well as the touchscreen interface. Besides VolumeSnap, there are tons of useful features which make it a good investment if you’re looking for a few more features than the bare minimum provided by Apple. It was amongst the sea of very early apps to hit the App Store back in 2007, and has gone from strength to strength ever since – averaging annual sales of a million. Download it here, or search for it in the App Store app on your device.